What’s happening in the electricity markets, is now a good time to buy? 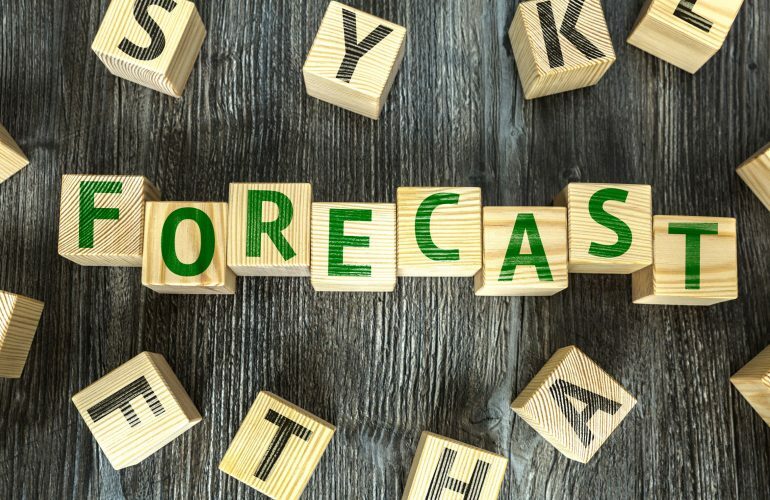 At the time of writing the markets are bullish and there have been significant price rises over the last 6 months; whether now is a good time to buy for your business very much depends on your current contracts and the risk management strategy. There is a lot of uncertainty in the markets at present, mostly driven by geopolitical issues such as BREXIT and the numerous US trade sanctions, along with economic factors and the usual fundamentals of supply and generation. Are you planning ahead, setting budgets for future operating costs? Energy should be a significant part of that consideration. We already know that due to a range of regulatory changes the non-commodity element of your electricity bill will rise significantly over the next few year; upwards of 20%! This is to cover the cost of network upgrades, maintain the current infrastructure and various green levies. The non-commodity element currently makes up approximately 60% of your bill. Now the other 40% (the commodity costs) are on the up too! Take a look at the snapshot of the Winter prices for the next 3 years taken 6 months apart. 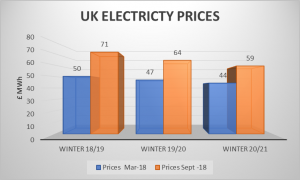 This coming winter has seen prices rise over 40% in just 6 months, the subsequent two winters have increased over 30%. Although it’s also important to note that the future prices for winter 19/20 (-10%) and 20/21 (-19%) are lower than the current year! So by planning ahead and securing those contracts now, or at least putting an effective plan in place, you can offset some of the increases in non-commodity costs and gain some budget certainty. That’s a decision that only you can make for your business. But what you can do is work with an energy consultancy to review your current position and test the market to see what could be available to you. At Prestige Business Solutions we have the time and the expertise to conduct a full and timely contract review and benchmark your prices; presenting your business with a range of competitive detailed options, giving you everything you need to make the best-informed decision. Don’t rely on reactive purchasing for your energy, knowledge is power! K10 restaurants – why we use Prestige!